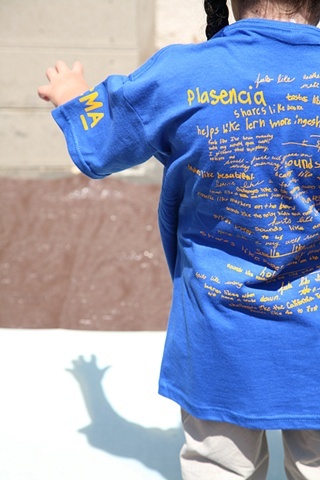 In 2007 I began working as an artist-in-residence at Plasencia Elementary School in Los Angeles. The project is sponsored by the Los Angeles County Museum of Art's (LACMA) "On-Site: Art Programs with the Community." During year one, students and staff responded to a series of prompts asking them about their school. 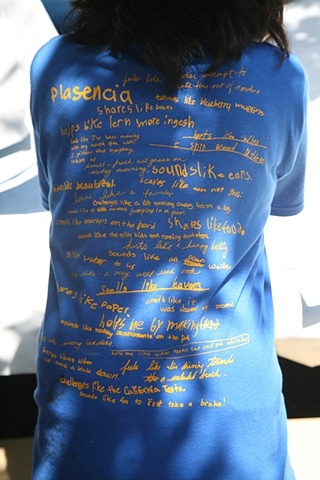 We then selected and scanned responses, juxtaposing them in a design that was reproduced on a limited edition t-shirt. 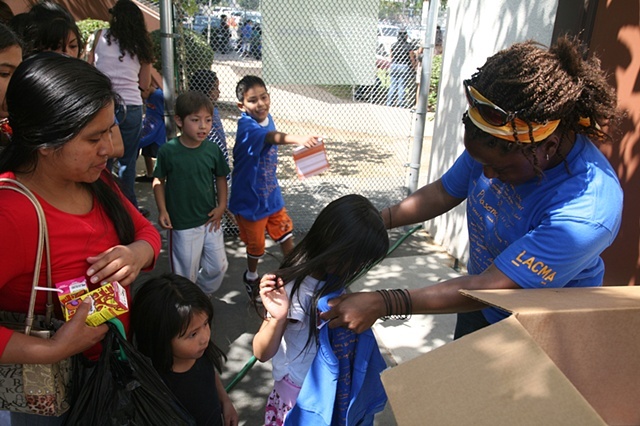 The t-shirts were given away for free to the school community members in June, 2008 during their annual arts festival. Future waves of the project will include text-based murals, performances and mobile sculpture.